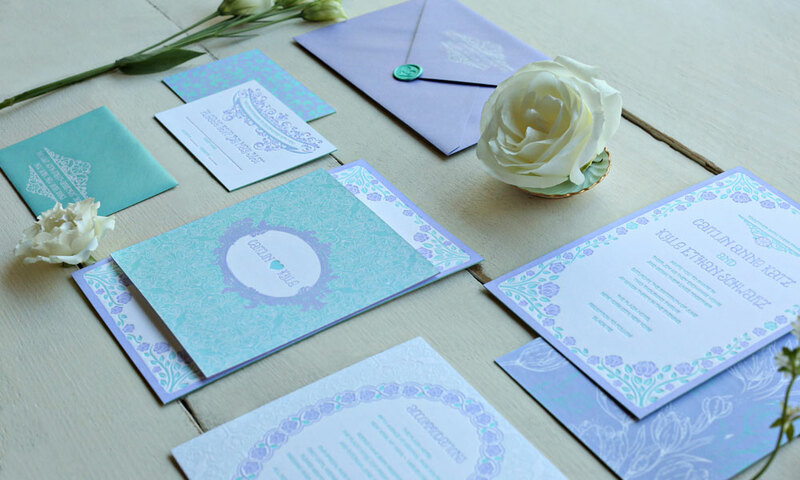 Take your theme to a whole new level and add layering and a sense of reveal. 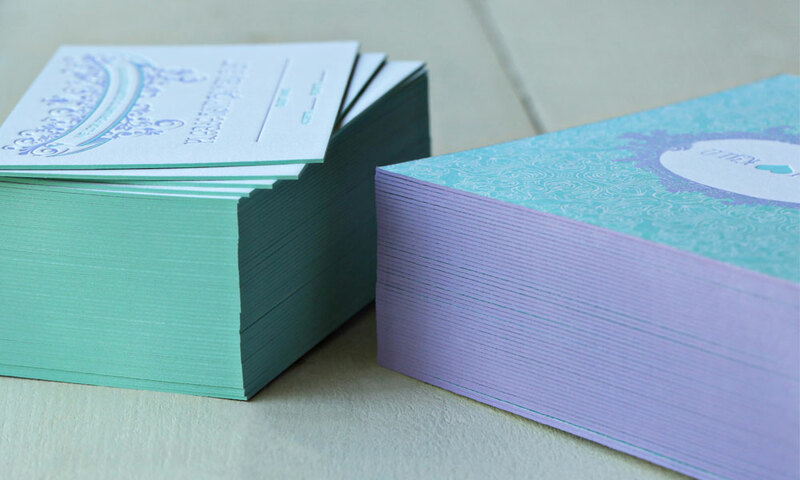 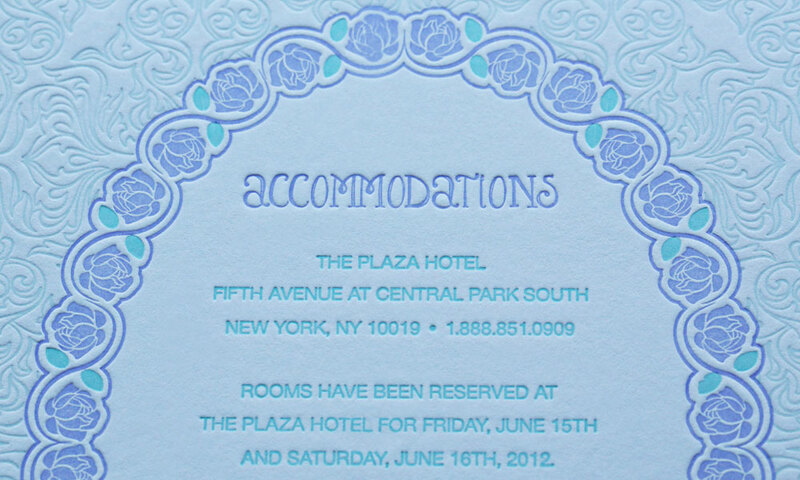 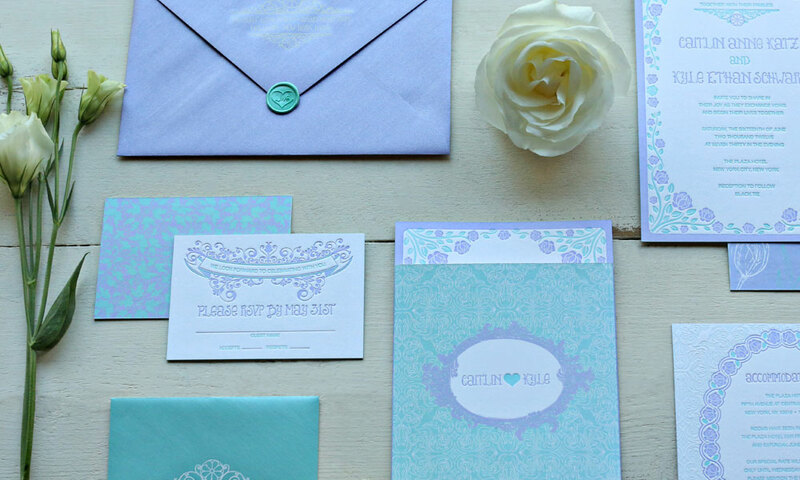 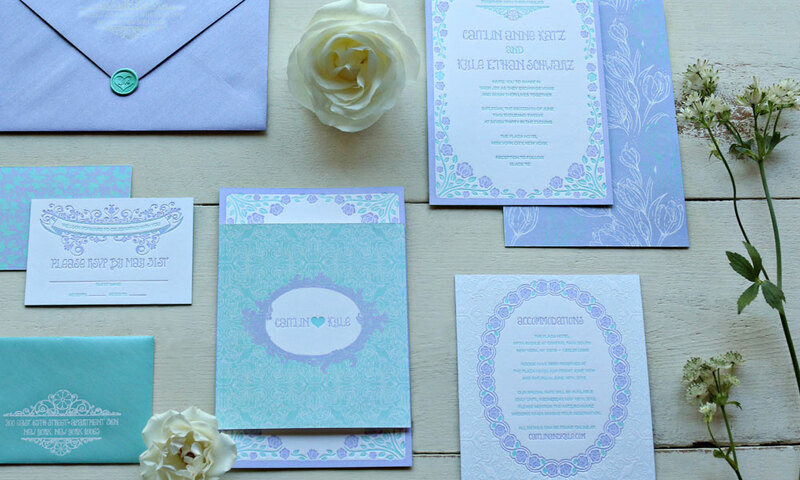 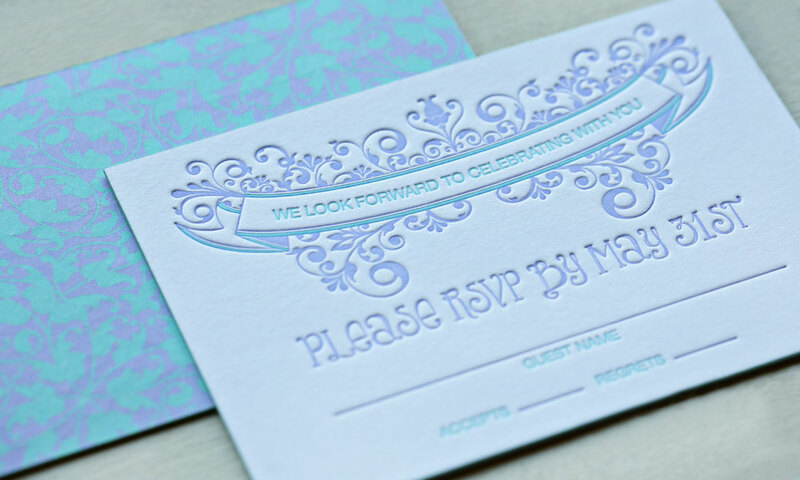 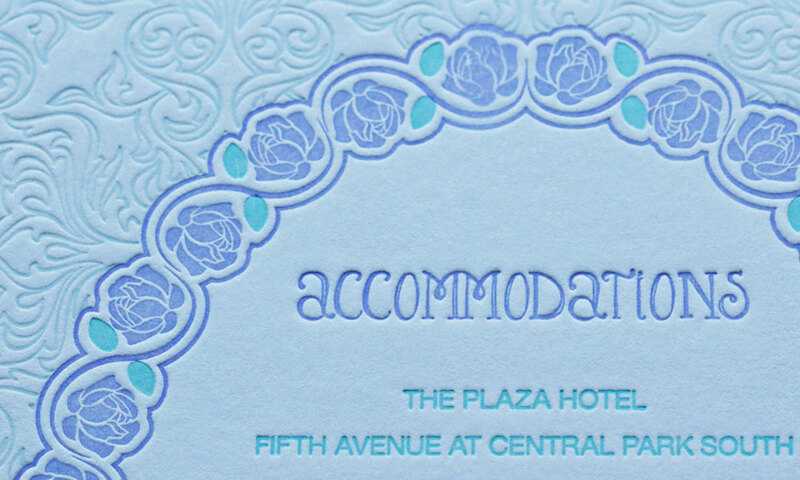 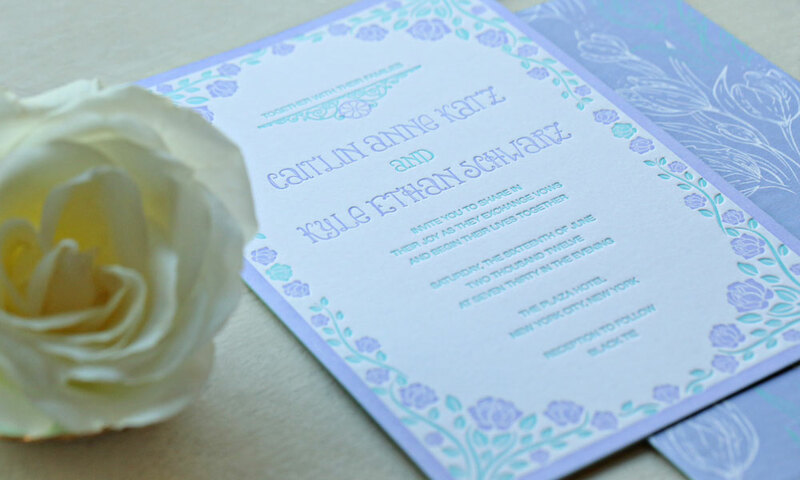 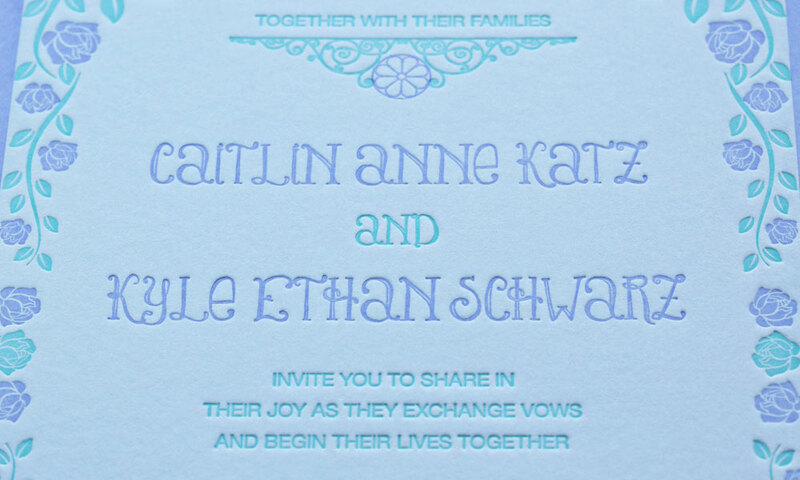 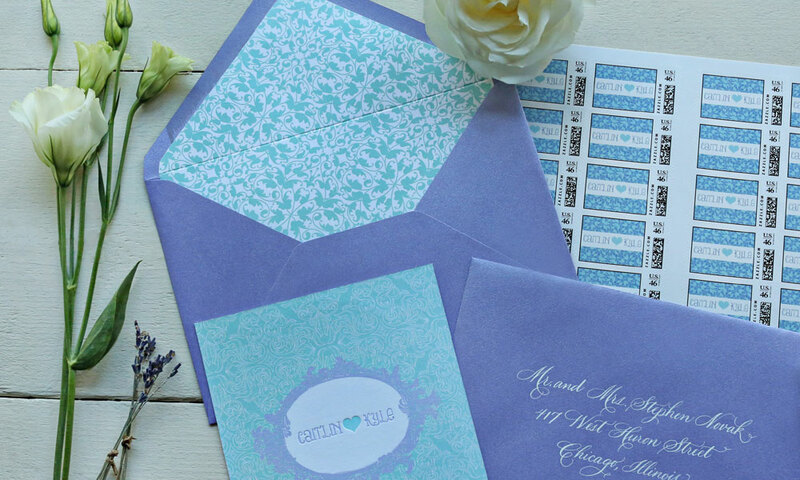 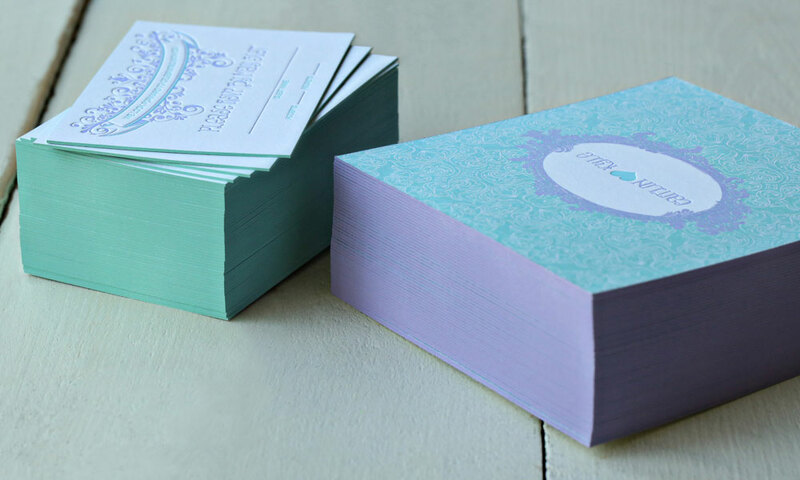 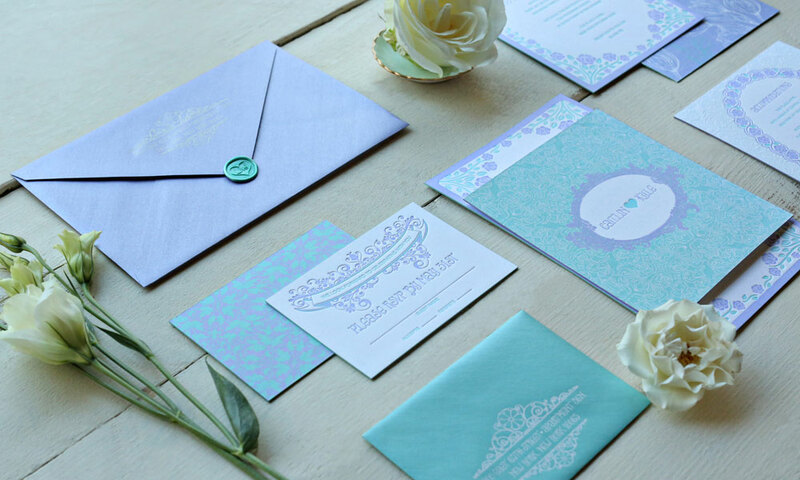 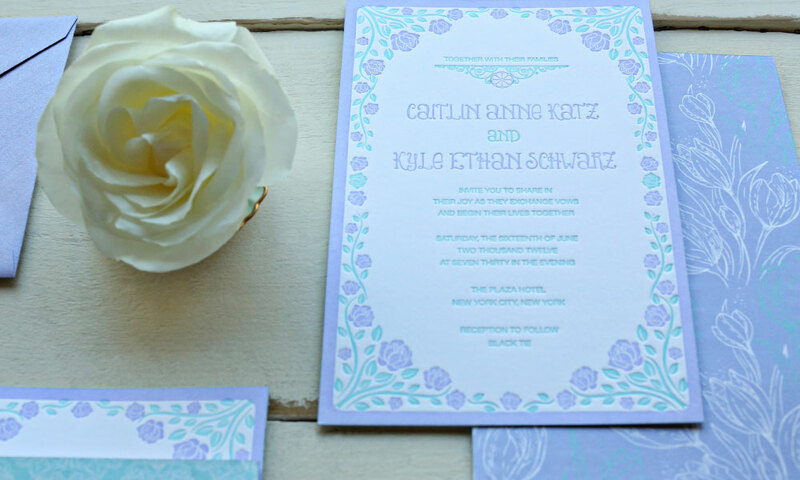 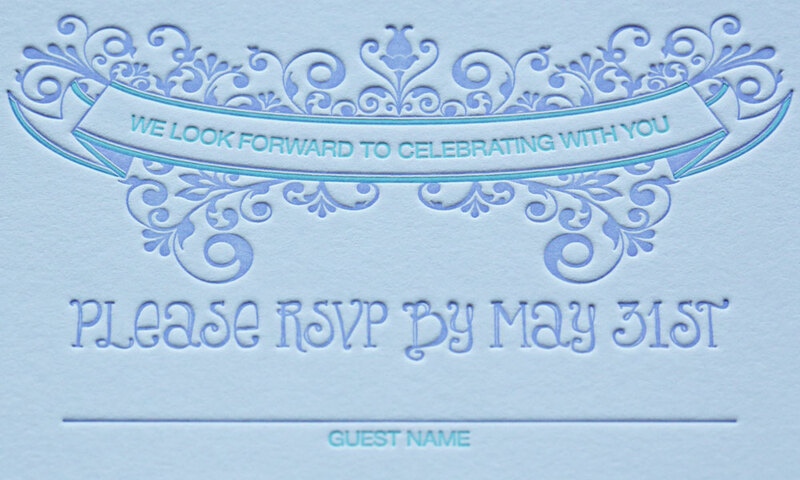 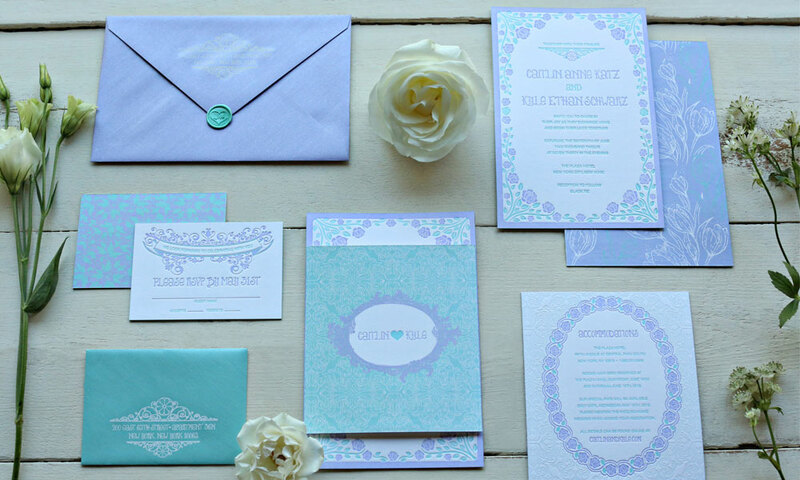 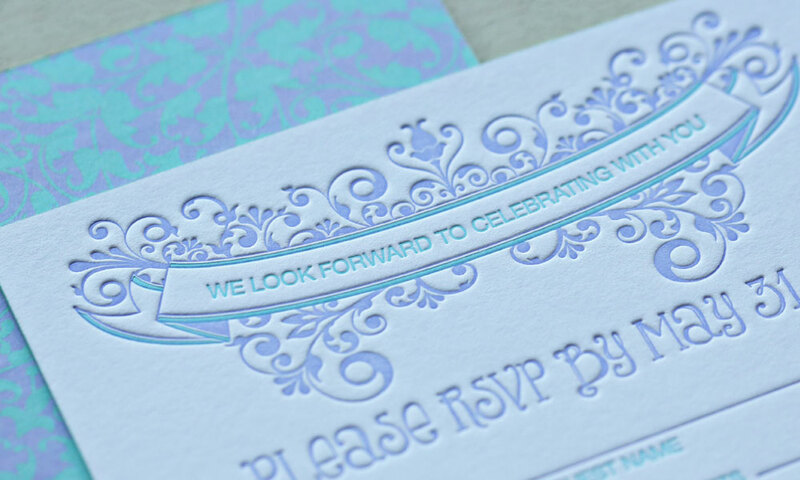 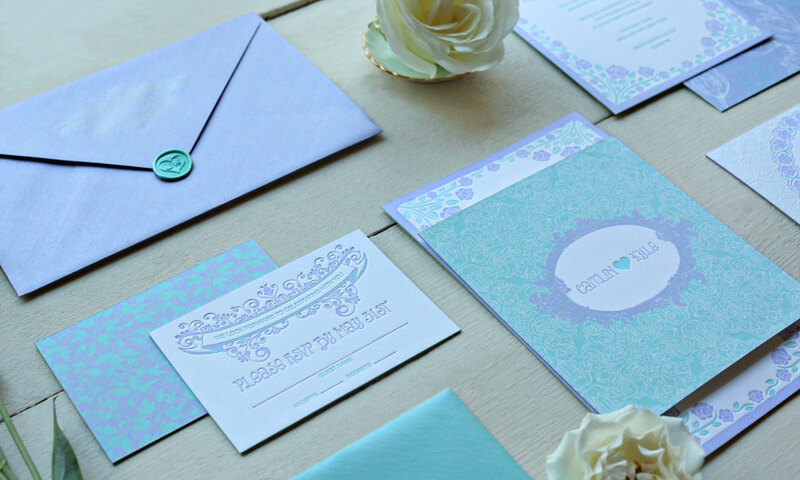 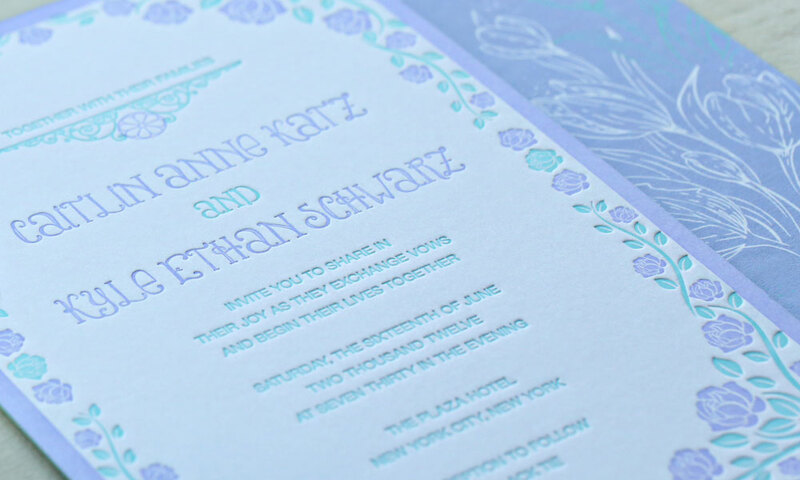 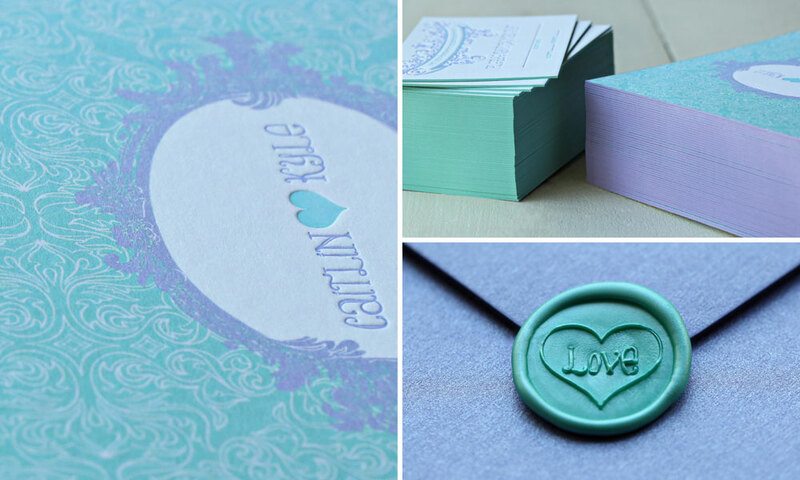 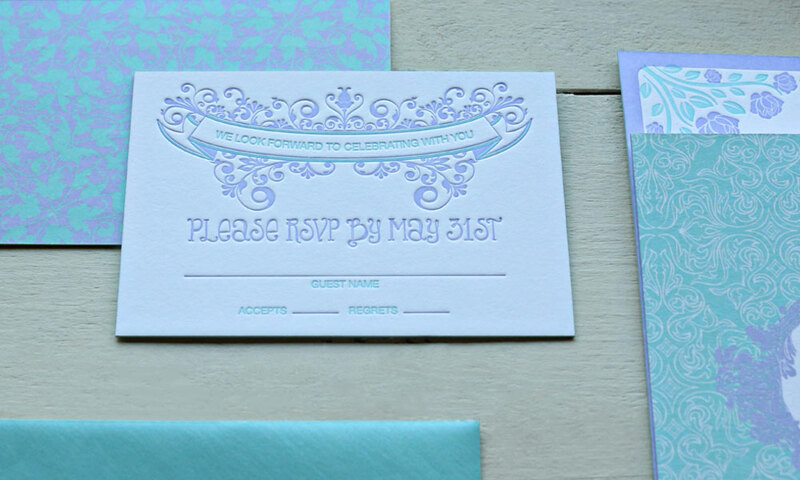 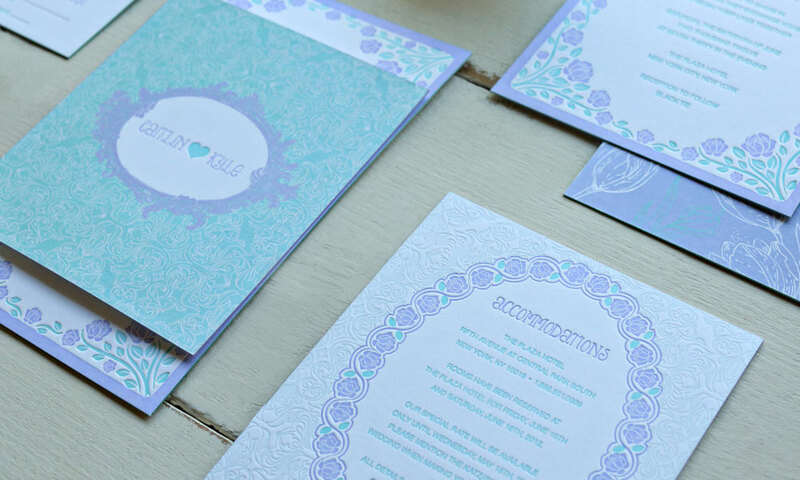 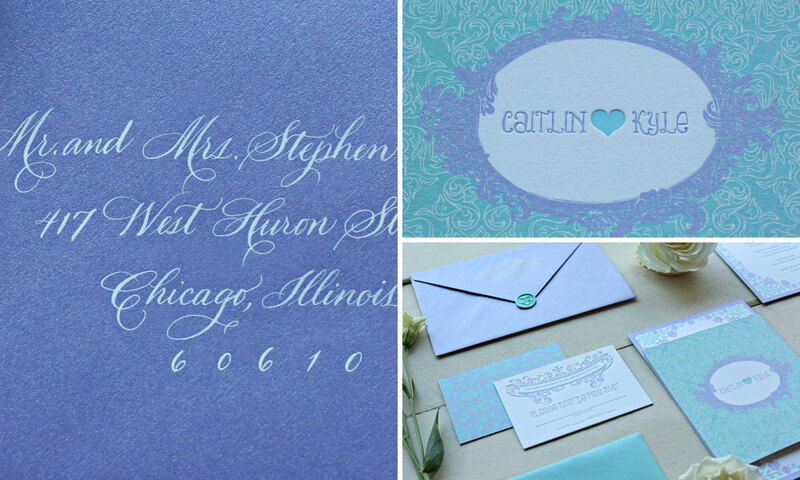 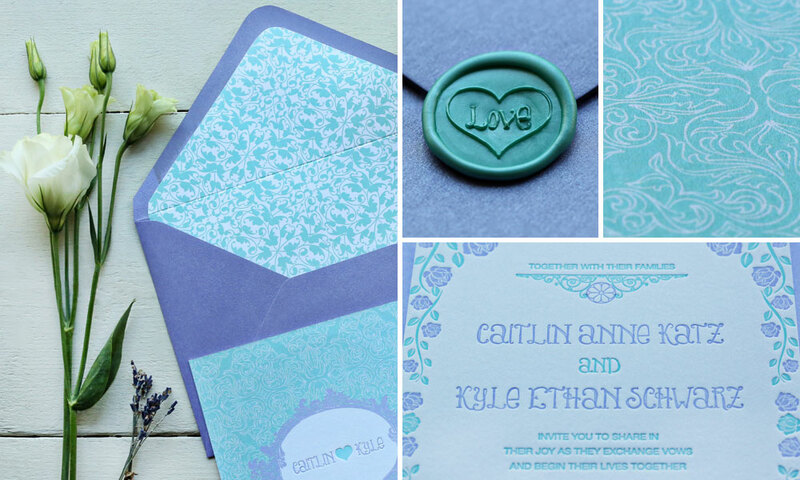 A refreshing color palette of mints and pastel purples intertwine with letterpress and flat printing in this enchanted garden wedding invitation suite. 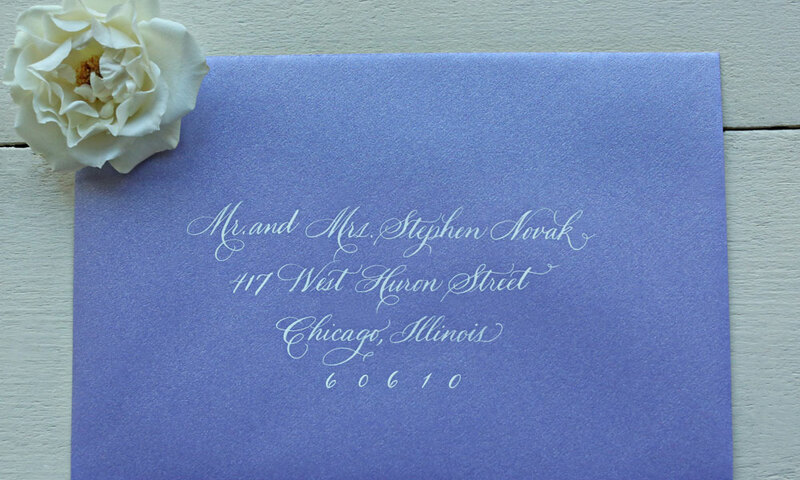 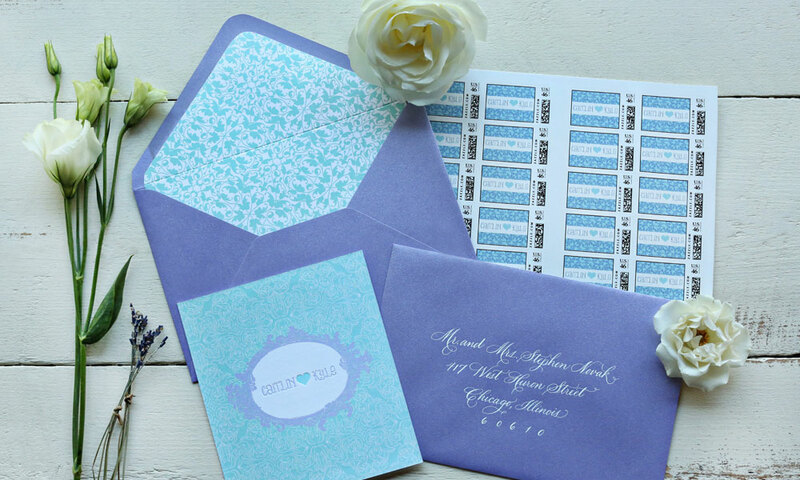 A metallic purple-lined envelope with white, flourished handwritten calligraphy carries the custom monogram stamp featuring the bride and groom’s names and a gorgeous white scroll-engraved return address. 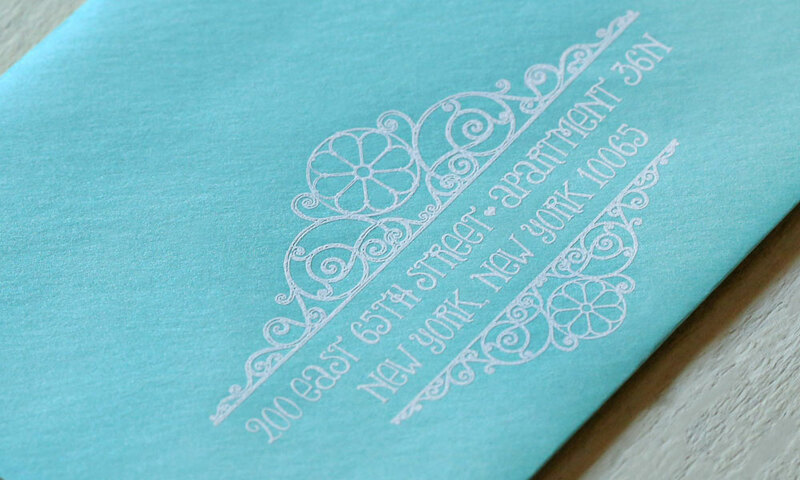 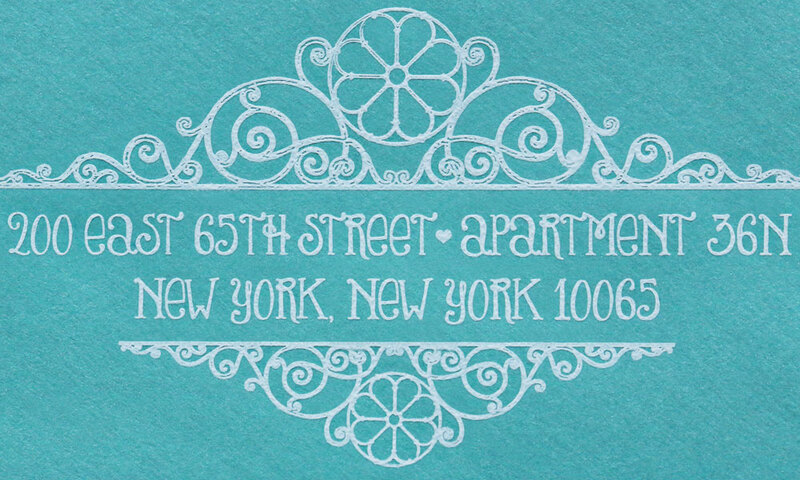 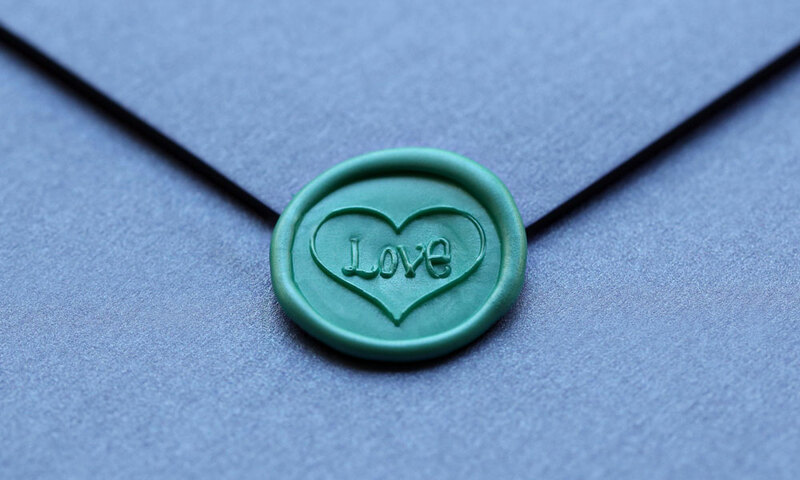 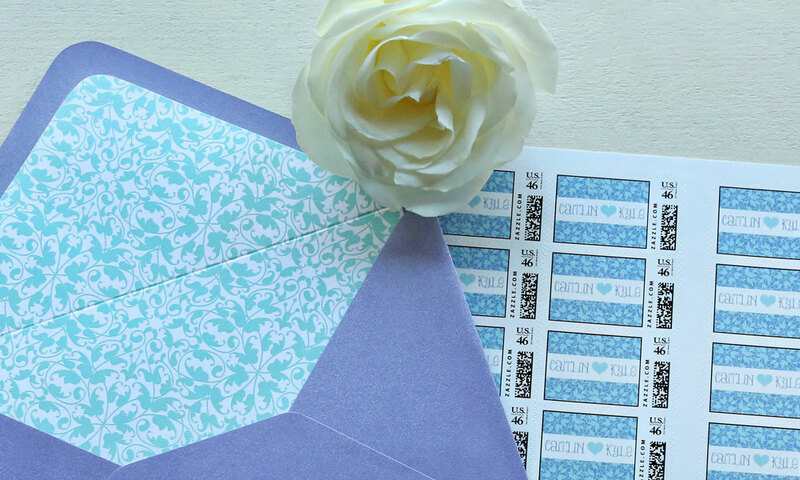 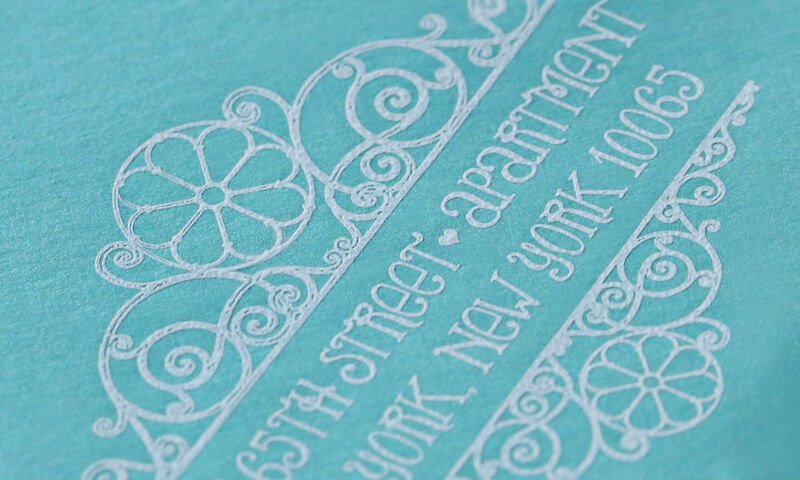 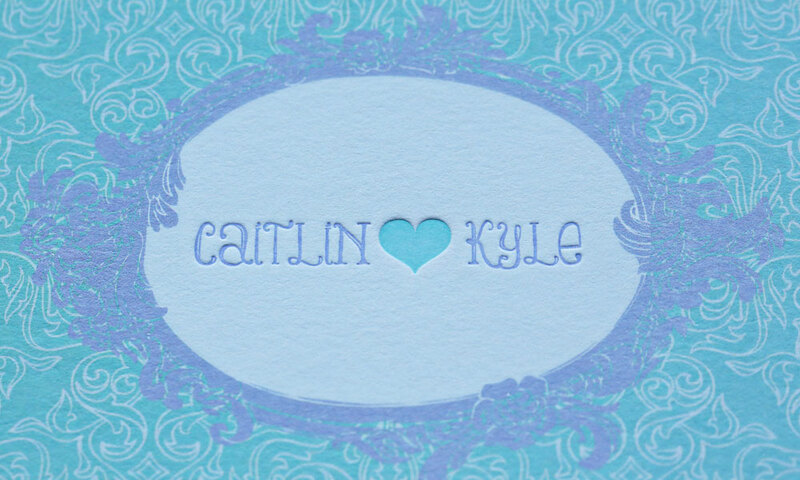 The envelope with a custom jade wax seal opens to reveal the bride and groom’s custom illustrated monogram. 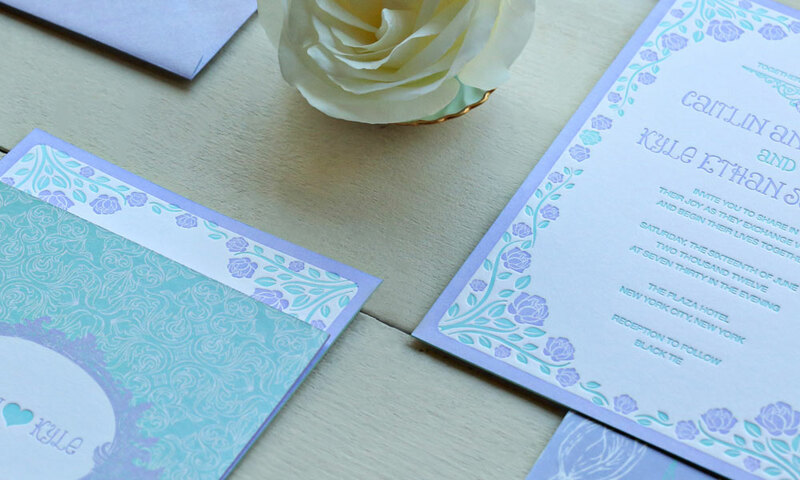 A wonderland of sprinkled leaves, roses and tulips blend with ethereal patterns, edge painting and whimsical design elements draw your guests into a luscious garden-themed wedding.